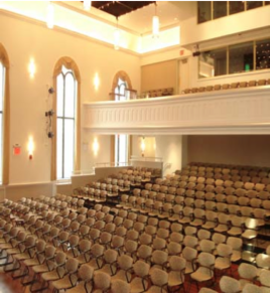 PMS Construction Management Corp. (“PMS”) provided CM/Build services for the 18,310 square foot renovation of the First Reformed Church of Jamaica, located at 153-10 Jamaica Avenue (Queens, New York) for the Department of Design and Construction (“DDC”). Each of the four trade contracts were procured by PMS according to Wick’s Law requirements of the New York City Procurement Policy Board (“PPB”). The total cost of this Project is $18,000,000. 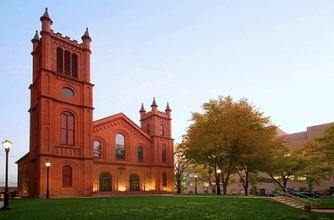 A major goal that PMS accomplished during the course of the Project was to preserve and restore as much of the original aesthetics of the structure as possible to the exterior historic brick fabric that was constructed in 1858; which is Landmark Protected at City, State and Federal levels. 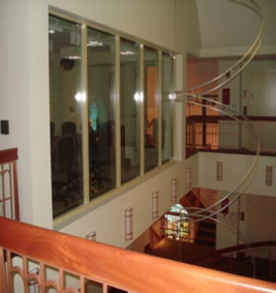 An additional achievement of the Project was to convert the deteriorated interior into a performance center with a state of the art theatrical lighting and sound system. In addition to the theatrical systems, new plumbing systems were added, along with a new HVAC system and all new electrical systems including a CCTV system and security card access system. In keeping with the Landmarks requirements PMS and its general contractor removed, recorded and salvaged select pieces of historic lead glass for complete restoration and re-use in the new facility. 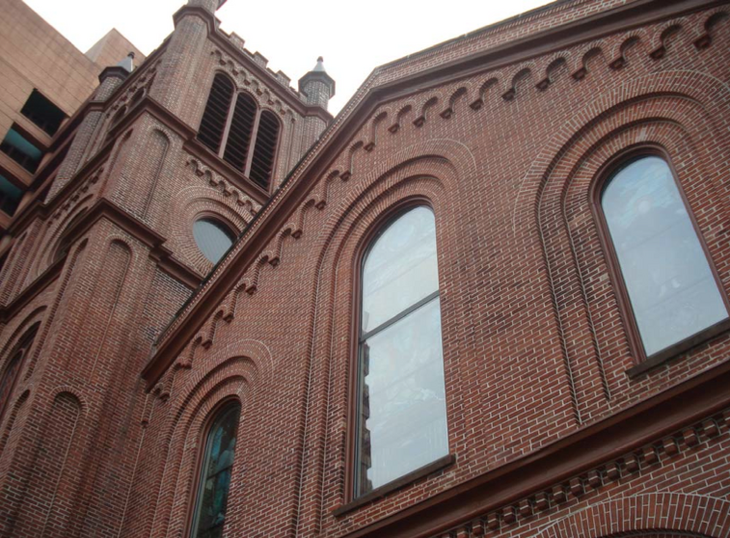 The remaining historical lead glass and miscellaneous components were transferred to the First Reformed Church of Jamaica located at 159-29 90th Avenue, Queens, New York 11432. While excavating the basement level it was discovered that the existing foundation walls did not extend down to the newly designed elevation/s, which required extensive concrete underpinning. Through careful coordination between PMS’ project team and the architect this unforeseen condition was resolved without impact to the Project Schedule. The Jamaica Performing Arts Center stands as an example of construction possibilities. The successful completion of the project could be attributed to management and interaction of team members, close coordination, innovative thinking, and the will to execute and succeed. The old structure was restored to it’s original glory. The structure was converted into a state-of-the-art, performing arts center that is destined to become a premier showcase for culture and the arts. In addition, the structure stands as a welcome addition into the community. The success of the project is therefore multi-faceted and exceedingly accomplished all of the goals that were to be achieved.